Astra is website security suite that protects websites from hackers, bots & 80+ internet threats. Work for Astra Security Suite? Learning about Astra Security Suite? 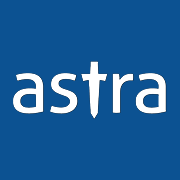 "Very powerful software, worth every penny"
Astra offers excellent and reasonably priced security against a number of popular and bothersome exploits. Not only does it analyze urls and form submissions for threats, but it does an awesome job of displaying it to me for further action. At a glance I can view where hackers are probing, the vector of their attack, where and where it's coming from. I can then block the IP address, whitelist the url, whitelist a form field, or do nothing. This same display format makes it relatively easy to spot false positives. It also filters out fake search bots and other annoying crawlers. Their support is nothing short of amazing. They are quick to respond and eager for input. Nothing has been a problem for them -- if it doesn't work for me they get it sorted out. I do have more false positives than I would prefer, and would like to be able to customize the strings and characters they analyze as a threat. that said, my site is all custom coded and that probably causes some issues above beyond what you would experience on WP or commercial shopping cart software. Give it a try, I think others will be as pleased as I am. It adds transparency and controls to routine security methods. We use three layers of security to stop intrusions, which have been a problem for us in the past. Astra does a far better job of maintaining a threat database and blocking intruders than I ever could. In addition to blocking and analyzing threats, it also counts them so we can see if we are making progress in our efforts to block access to hackers. One problem Astra solves is my sleep pattern -- I'm getting more of it knowing it's in place. * We monitor all Astra Security Suite reviews to prevent fraudulent reviews and keep review quality high. We do not post reviews by company employees or direct competitors. Validated reviews require the user to submit a screenshot of the product containing their user ID, in order to verify a user is an actual user of the product. Hi there! Are you looking to implement a solution like Astra Security Suite?